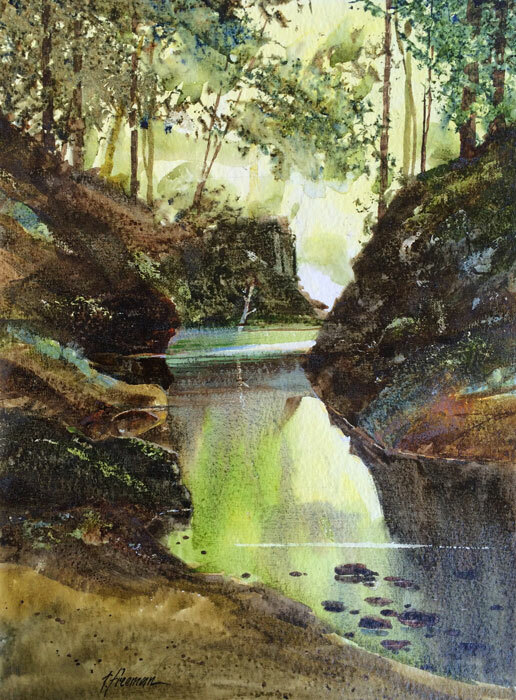 Thomas Freeman Original Watercolor Painting: "Butano Creek Trail"
As in most of my paintings, I take many liberties with the execution of my watercolors. This was painted on 300lb Arches Rough paper that had been coated with white acrylic gesso--and finally sprayed with watercolor varnish to make the color impervious to water. This could be framed without glass. A different and challenging way to paint a watercolor.